Are there any stage taboos left? John Ford‘s 17th-century romantic thriller ‘TIS PITY SHE’S A WHORE, centring on an incestuous relationship between brother and sister Giovanni and Annabella, is one of the most controversial in the classical canon and was not performed in the UK for more than 200 years until the mid-twentieth century. Does it still have the power to shock? Does anything? 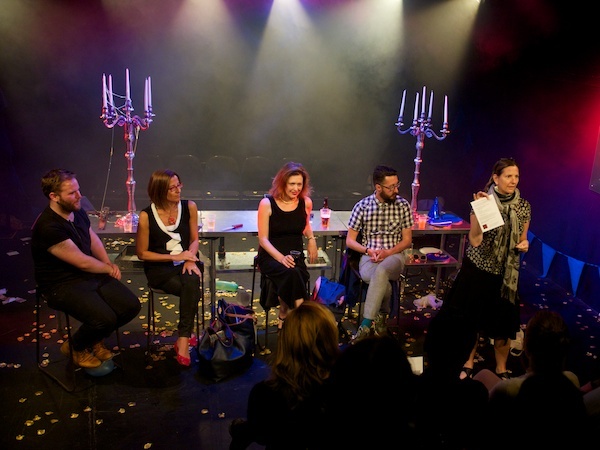 Last night, I chaired my third post-show debate for Lazarus Theatre, the pioneering young company that reimagines the classics for modern audiences. After Lazarus 90-minute, colour-blind production of ‘TIS PITY – the final ‘dance of death’ is truly something to behold; watch carefully, especially if you’re an aficionado of the play – we talked about the nature of taboos and breaking them both in this play and through the ages. The panel comprised: Lazarus artistic director Ricky Dukes (who adapted and directed ‘Tis Pity); Open Air Theatre artistic director Timothy Sheader, whose myriad productions in his career include the once-controversial Jesus Christ Superstar (for which he received no complaints) and short-lived West End musical Imagine This set during the holocaust (for which he received many), and King’s College London professors Edith Hall (ancient classics) and Sonia Massai (Shakespeare and his contemporaries), who is also editor of the Arden Early Modern Drama edition of ‘Tis Pity. Have a listen to the unedited podcast for some fascinating historical insights plus some taboo quiz questions. Also below, scroll through Q&A tweets from @LazarusTheatre care of associate director Gavin Harrington-Odedra (@gavinhb), event photos by Peter Jones and production photos by Adam Trigg. ‘Tis Pity She’s a Whore continues at the Tristan Bates Theatre until 10 September 2016.